New York's first public graduate film school is now accepting applications, at a state-of-the-art facility being built for the Brooklyn College program. 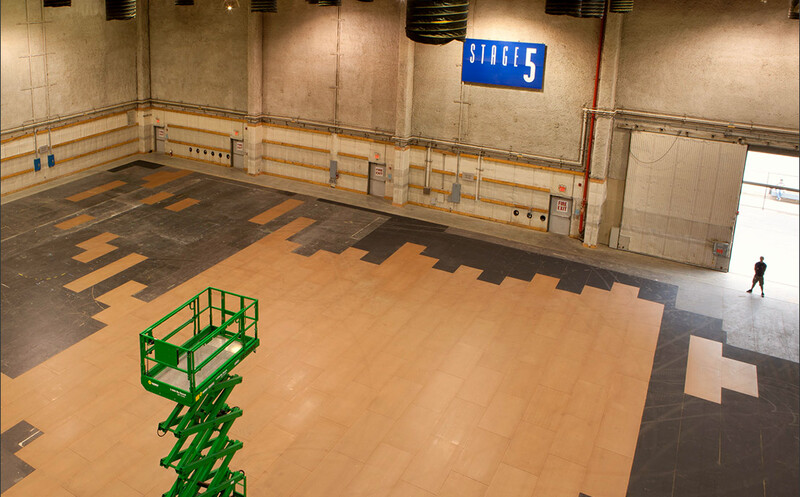 Steiner Studios is the largest sound stage and production facility for film and television on the East Coast, and soon, Brooklyn College's graduate school film students will share the same working lot. NY1 got a first look at the renderings for the film school's 60,000-square-foot campus at the Brooklyn Navy Yard, scheduled to open in the fall of 2015. "We're building from scratch, so this gives us the opportunity to really re-imagine what a film school should be like in the 21st century," said Jonathan Wacks, director of the Feirstein Graduate School of Cinema. With its own sound stage and screening room, it's called the Barry Feirstein Graduate School of Cinema for the founding donor and Brooklyn College alumnus. It's the first public graduate film school in New York State. "It is a place where our students will be right in the middle of mainstream cinema and learning as they go, but also having fabulous opportunities to exchange and talk to people about what's going on on a working lot," said Brooklyn College President Karen Gould. Enrollment into the school's first class is now under way. Applications can be found on the Brooklyn College website. There's a two-year program for a masters in cinema studies and a three-year program for a masters in fine arts degree. The school is also looking for faculty -- " a combination of full-time academic faculty, but also people who are in the industry," Wacks said. Classes will include producing, directing, screenwriting, cinematography and editing, among others, with curriculum input from industry veterans. "Some key luminaries in the film industry, including Steven Soderbergh, Ethan Hawke, Fisher Stevens, Darren Aronofsky and many others, have come into the school as partners," Wacks said. The goal is to have the program serve as a pipeline to industry jobs while creating a diverse workforce. Film production "is a more than $7 billion industry in New York City, and they need trained professionals -- and we're going to deliver," Gould said. The application deadline is Jan. 15.